à¸žà¸¹à¸”à¸§à¹ˆà¸²:Wanted to drop a comment and let you know your Rss feed is not functioning today. I tried including it to my Google reader account and got nothing. 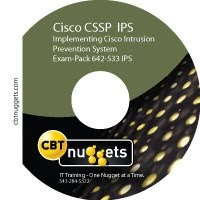 All CBT nuggets for IPS 642-533 have been removed. Why an old download link is still present & when it will be updated ? Could you please upload CBT nugget Videos for 642-533 Exam. Thanks in advance. Can you provide the dups for Cisco IPS 642-627? Or any GB is available for the same? 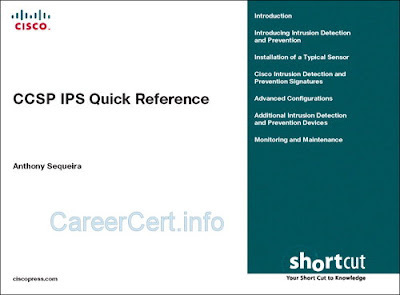 I have finished my two papers of CCSP ( SNAF, SNAA) but now course has changed , can you just provide the new study material if available for IPS and SNRS. 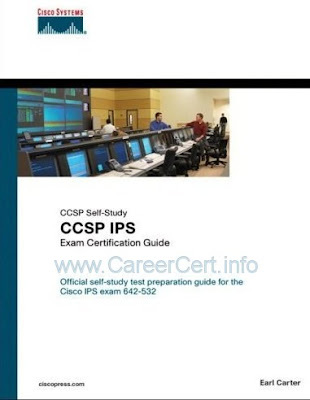 hi Ashish, im a CCIE on CCSP, need you the tsudy guid or the pass test, please send me a email. I am really sorry for delay, could you please help me regarding the study material and dumps for the new IPS and SNRS exam.. I have cleared IPS exam. I got 1000 out of 1000…… dumps still valid……….. Thanks to everyone who helped me to get certified. Hi Amit. 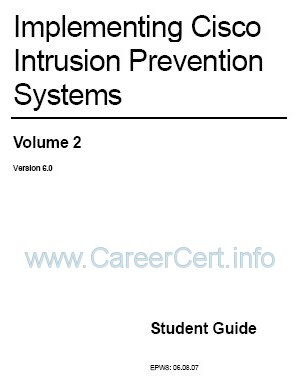 i want to give IPS exam. please help me. send my email dumps or dumps link. I thanks god for helping to achieve this certificate, I have fighting througout days and night and now am CCSP certified. I have passed today 976/1000 materials are AT,Pass4sure 118Qs,[Link Removed]total qns 63qns, 2labs (GUI & CLI ),5D&D and one simlet. Because i am planning to do exams on next monody !!! hi Cha, yes AT 2010 and P4S 118Q are valid. 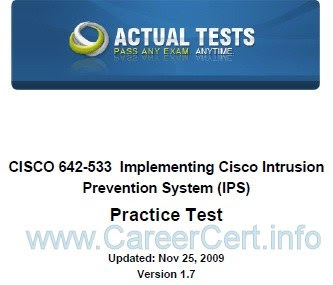 I want to give IPS exam, can you tell me CCSP IPS 642-533 ActualTests – 2010 is still valid? Can anyone upload new dumps any link. 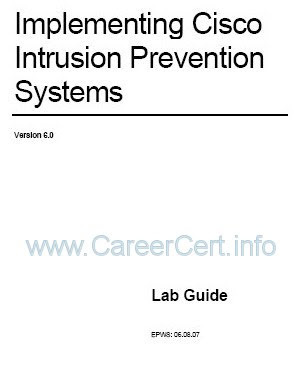 Are you able to open this pdf..
CCSP IPS 642-533 Pass4sure v4.18 – 118Q – PDF ? Yes I am able to open this, Plz let me know this is valid till now ? I will do on 20th May 2011 so wait for my reply. 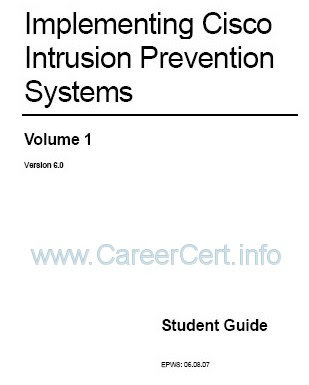 Anyone has passed this exam recently? Is P4Sure still valid? any one who have done IPS recently?? ?, I want to take it on april 2011. 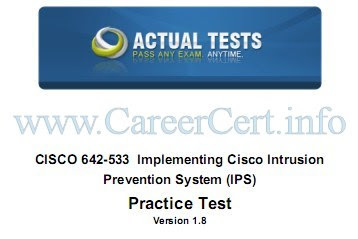 I want to give IPS exam, can you tell me CCSP IPS 642-533 ActualTests – 2010 is still valid?Or what to refer for exam?